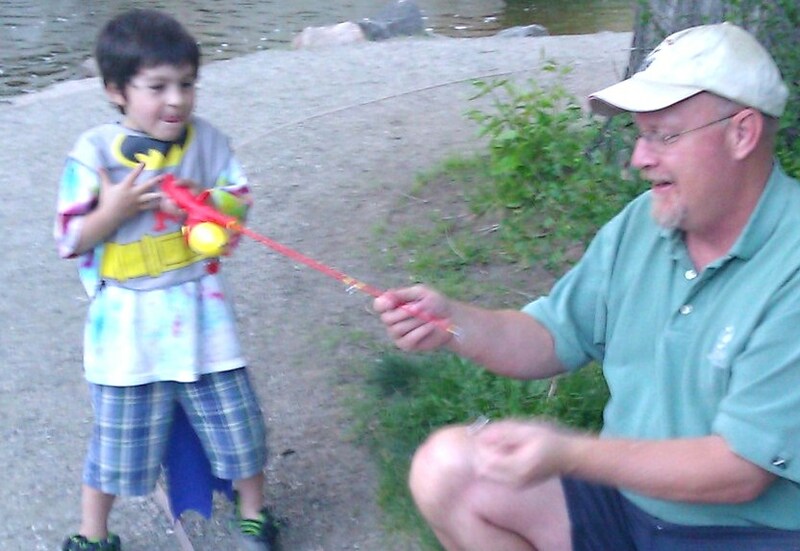 When my five year old grandson Georgie was about three and a half, my husband Greg (“Poppy” ) took him fishing with my son, Georgie’s Uncle Zeke. The thing about Zeke is this: he is the most optimistic person in the universe. So he over-estimates the fun and “ease” of everything, while disregarding things like obstacles, mileage, gale force winds, the limits of the human body, gravity, and reality. 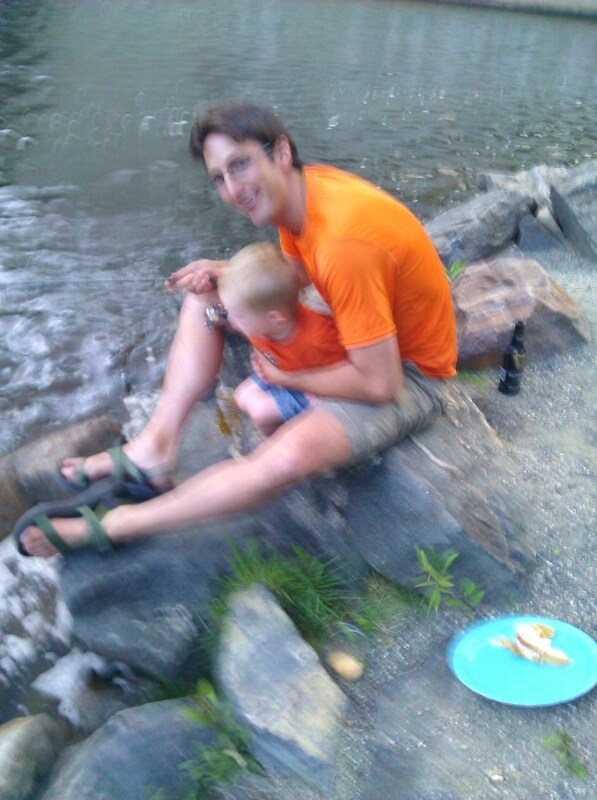 Zeke told Greg that there was a great fishing hole “just a little walk down the road” where they could let Georgie and Zeke’s two little boys (Nate and Titus) wet a line. Knowing Zeke as he does, Greg should not have been surprised when Zeke’s definition of a “little walk” would turn out to be at least a mile long hike (each way). 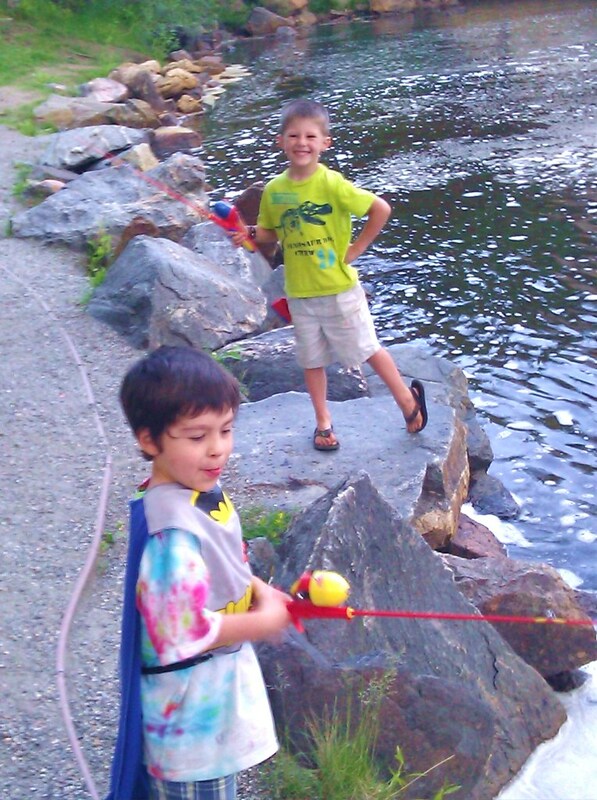 This,with three preschool boys in tow, not to mention poles and tackle boxes. I know how Georgie feels. Last night for some reason, I was especially craving fruit salad. On a lark, I whirled some dried cantaloupe I bought a local health food grocery store, with about a cup of creamy coconut milk in my Vitamix blender. The result was more than I bargained for: it was perhaps the best fruit salad dressing I’ve ever tasted. 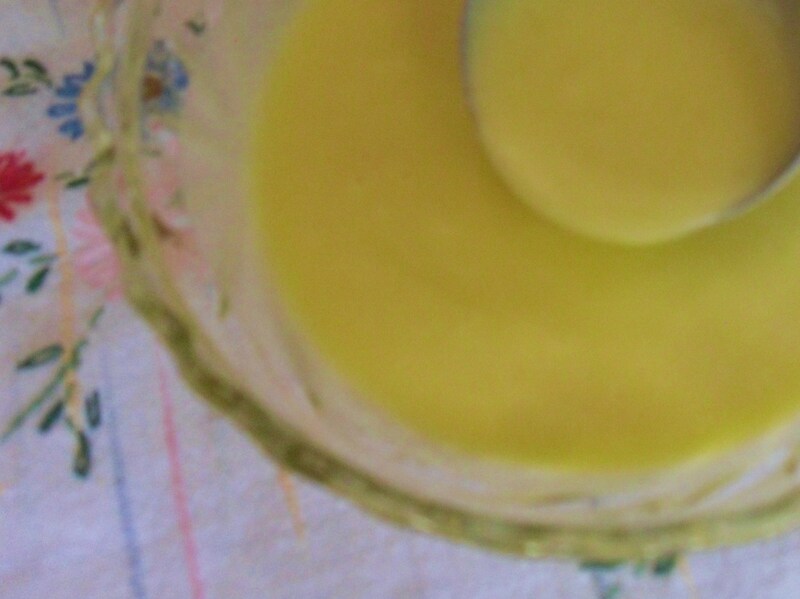 I poured this gorgeous pastel orange cream over a small bowl of berries and kiwi, and it was so good, I ate it all, and had another bowl. Then another. 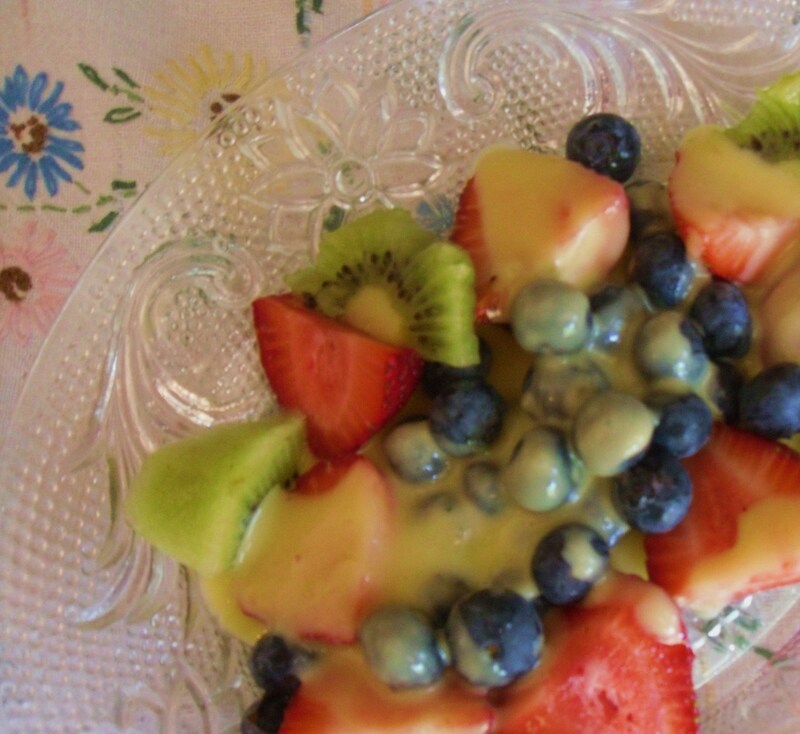 Yes, I ate “ALL dem” berries and kiwi because the creamy dressing was just that scrumptious. Dried cantaloupe You can also use dried apricots, papayas, or mangoes in this recipe for similar results. 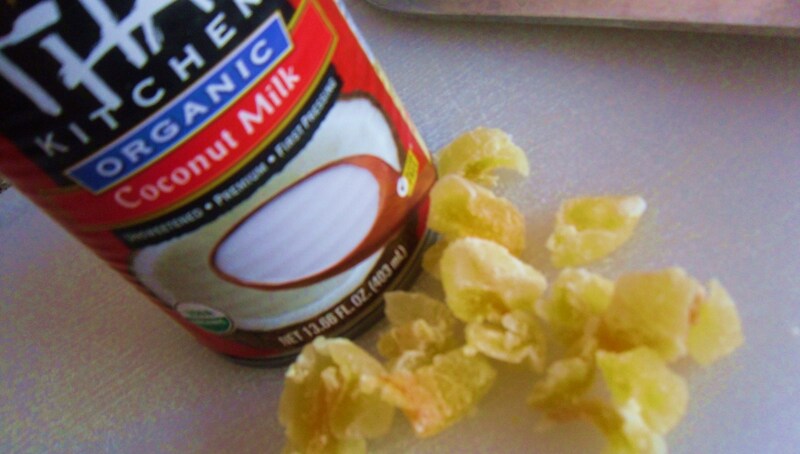 Into powerful blender or food processor, put coconut milk and chopped dried fruit. 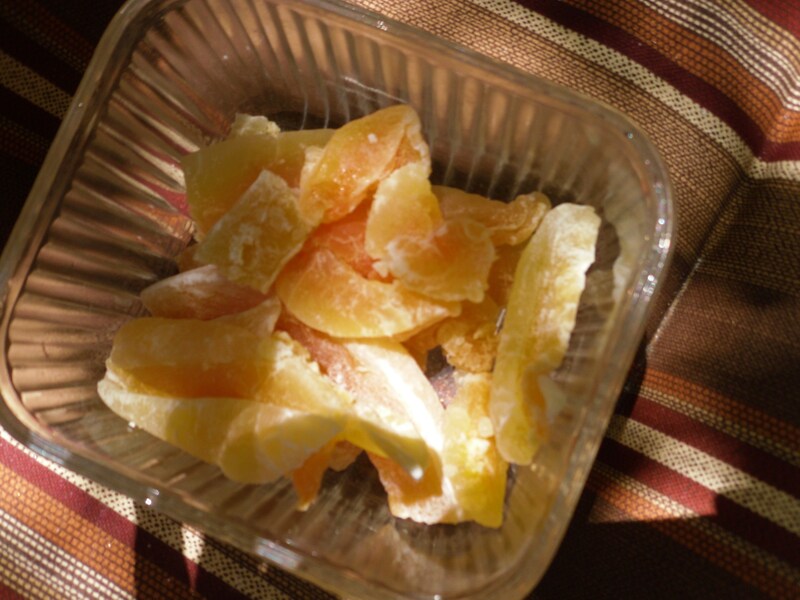 (If you can find the dried cantaloupe, I loved it in this recipe. I found mine at Sunflower Market.) Start it on low and then move to most powerful setting and blend until the fruit is completely emulsified and the “dried fruit cream” has no grainy pieces in it. Add pinch salt (about 1/4 t. or less) and blend again. It tends to thicken up in the fridge as the coconut milk gets cold. I like it fresh from the blender and also from the fridge. Delicious both ways. 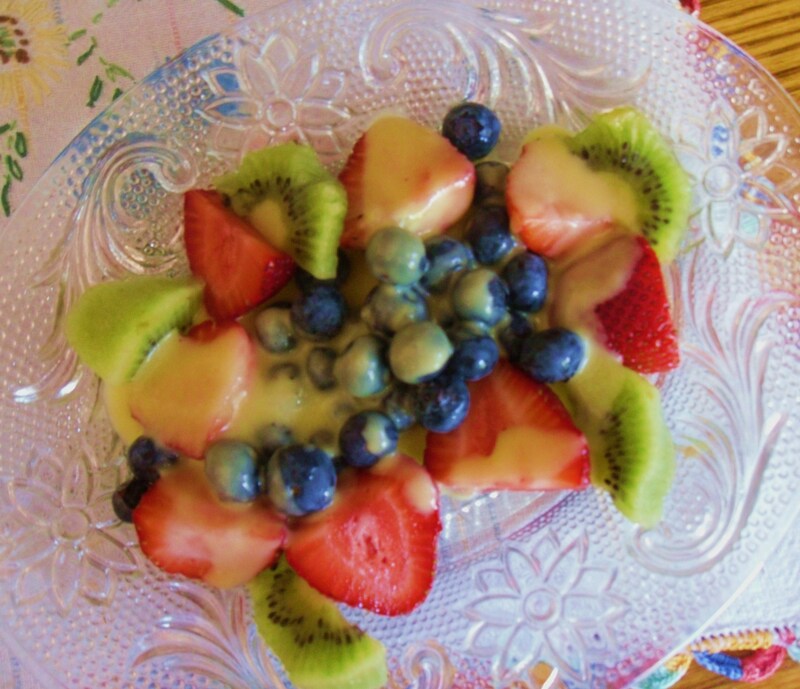 Arrange fruit on pretty plates and drizzle on dressing. A beautiful side dish, snack or summertime dessert. Coconut oil and milk has some impressive health benefits. Click here for peer reviewed research.